FirstOntario Concert Hall (formerly Hamilton Place) is undoubtedly the epicentre of the city’s arts and culture community, having hosted performances by everyone from The National Ballet of Canada, Gordon Lightfoot to the Goo Goo Dolls. Whether you’re planning a public performance or a private function, this versatile, attractive and functional venue is always a smart choice. FirstOntario Concert Hall has a capacity of up to 2,193 and is fully licensed and feature state-of-the-art audio and lighting production. 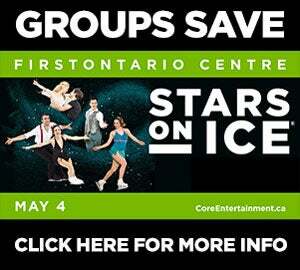 Core Entertainment offers outstanding concert facilities at FirstOntario Concert Hall. The venue can be personalized to meet the specific needs of an event, and is serviced by a dedicated team of staff who take pride in making each concert and show a unique experience. Broad access to major and diverse concert audiences at each of these venues ensures excellent attendance across a wide range of concert events, and spectacular sound quality guarantees a live music experience that exceeds all expectations. Past headliners at Core Entertainment concert and shows have included: Blue Rodeo, Jann Arden, Joe Bonamassa, Big Wreck, Bonnie Raitt, Gordon Lightoot, The Goo Goo Dolls and Jerry Seinfield, Paw Patrol, and among countless others. FirstOntario Concert Hall is home to family entertainment. The theatre space is available for a variety of live stage events, including Broadway, theatrical performance, comedy shows, lectures, and fashion shows. 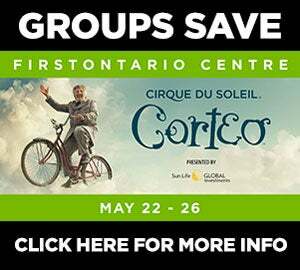 A few of our well attended events include: The Wiggles, Raffi, 2Cellos, Jeremy Hotz, Just For Laughs Tours, Stomp, David Blaine, Theresa Caputo, Sound of Music, and many more.